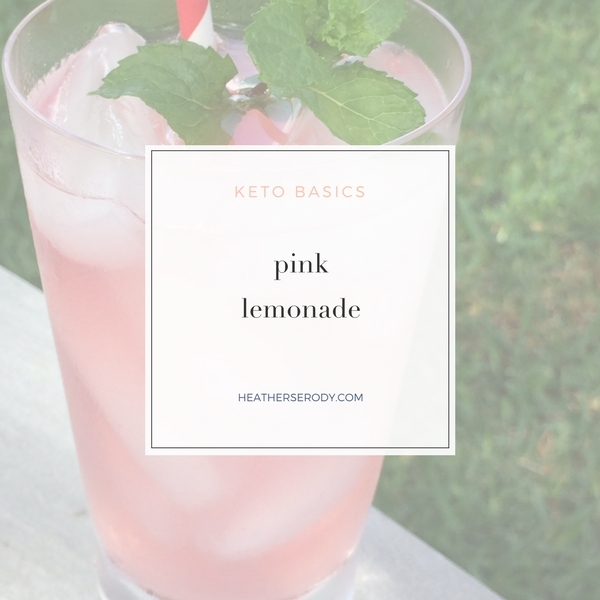 It's so easy to make keto pink lemonade. The trick to no carb lemonade is using an all-natural stevia sweetener that has zero calories, zero carbohydrates, and no glycemic response. 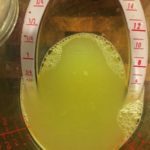 I use the lemon flavored Sweet Leaf liquid drops to sweeten this lemonade because it instantly mixes into your lemonade, which makes mixing it up super easy. This recipe was created to mimic the taste of traditional lemonade. If you're keeping a strict keto diet you can cut down on the amount of lemon juice to your liking in order to cut down on the carbs. Also, just omit the raspberries if you prefer your lemonade plain. SweetLeaf brand liquid stevia drops is a liquid stevia product I highly recommend. It is made by taking the leaves of organically grown non-GMO stevia plants and a water process is used to extract their natural sweetness. Sweetdrops do not contain alcohols or additives. In the case of the flavored drops, plant-derived natural flavors are used. They are also gluten free. If you read the labels of many other stevia brands, and you'll find sugar alcohols, mystery ingredients &/or chemicals used to process it. 8-10 droppers of Sweet Leaf liquid stevia drops plain is fine, too. To make lemonade pink, place a handful of raspberries into a fine mesh strainer and place the strainer over the lemonade pitcher or a separate bowl. 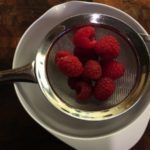 Using a spatula, push the raspberries through the strainer. 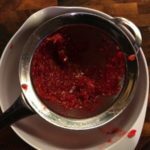 There should just be seeds left in the strainer after you've extracted all the raspberry juice. Scrape the juice from the backside of the strainer, too.